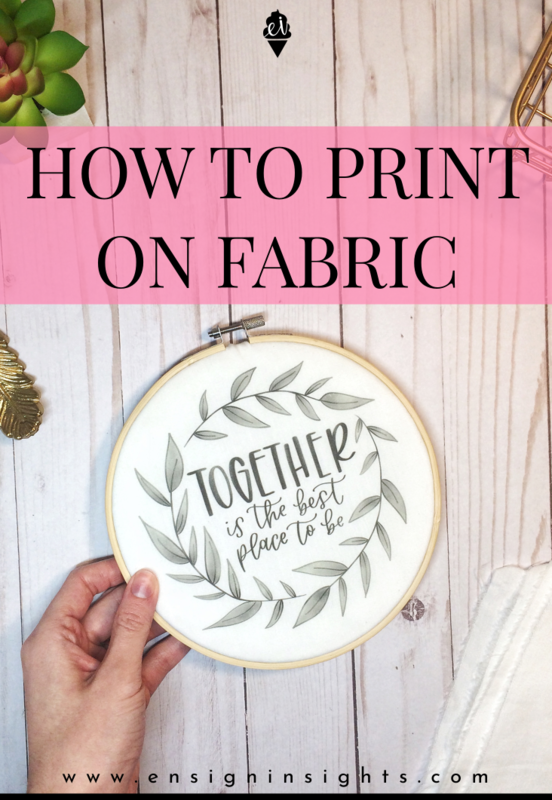 In this tutorial, I’m going to show you how to print on fabric. Almost a year ago I really wanted to print my lettering on fabric so I searched the internet to find out how. I found out that there are a lot of tricky ways to do it. But this tutorial was the best one I found and I’ve been using this technique ever since with all of my lettering. 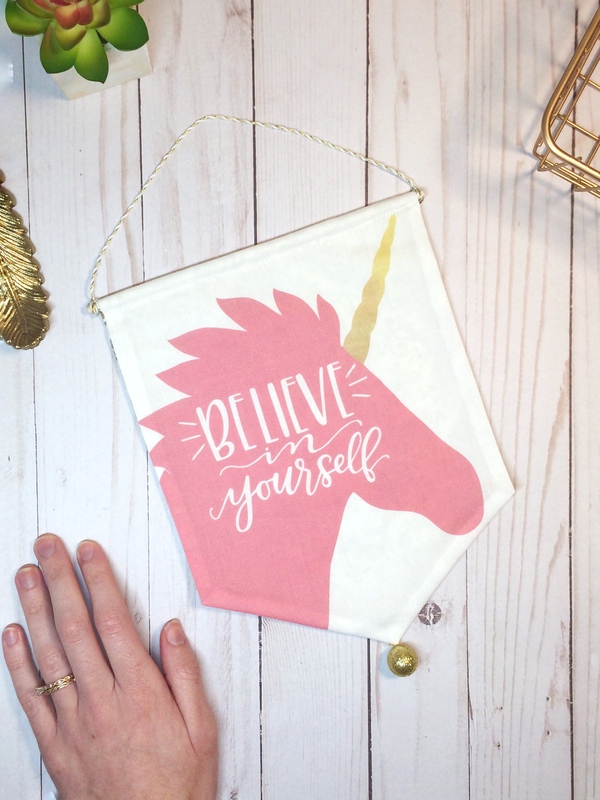 Keep reading to check out my video of how I print my lettering designs on fabric. I made a video on my YouTube channel to show you how I did it. It’s a lot easier than you think! 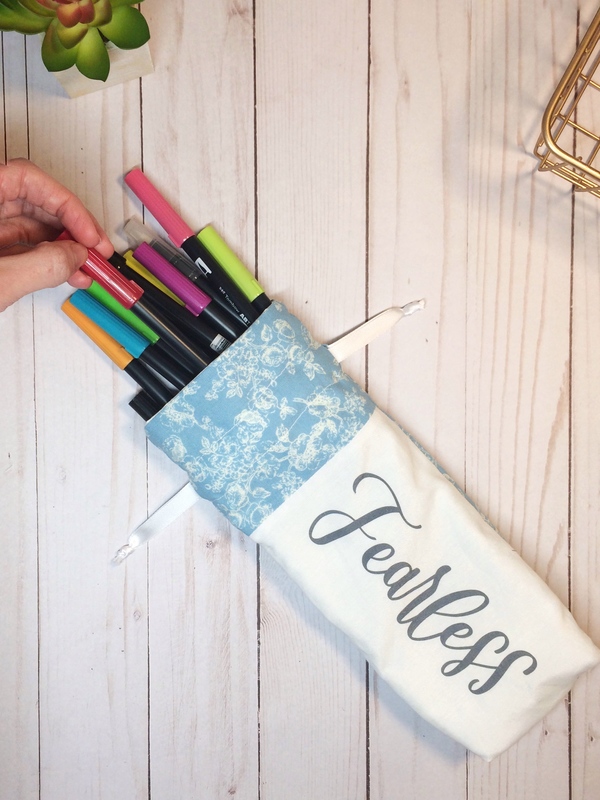 You just need freezer paper, fabric, your design, an inkjet printer, and an iron. That’s it! Watch here or read below for a summary. I explain more in the video but here is a quick summary. Make your design in Illustrator, Inkscape, the Ipad Pro, whatever you have, and make sure it’s ready to print at 8.5×11. Then you will cut your fabric and a piece of freezer paper to 8.5×11. Iron you freezer paper to your fabric. Make sure the wax side of the freezer paper is touching the fabric. This is how it will stick (and easily peel off at the end). You can reuse this freezer paper several times with new fabric as long as the wax will still stick when ironed. Next you will load the fabric/freezer paper into your printer and print your design. Peel off your freezer paper and it’s that easy! One little tip, make sure you don’t have any loose threads on your fabric before printing. If there is a tiny thread, the ink will be printed on it instead of the design. It’s so frustrating to have an almost perfect design, but one little spot doesn’t have ink because of those pesky little threads! One more thing. When washing your printed fabric, different fabrics have different responses to water. Some of mine have washed just fine, some get faded a little, and on some the ink bleeds. To waterproof your design, soak it in vinegar before washing. This will set the ink. Enjoy! I’d love to see what you make! Comment below or tag me on Instagram @ensigninsights.